The Apocalypse Element, made in 2000, makes for remarkable listening eighteen years on. It’s not just that it features the Daleks and the Time Lords at loggerheads, either. After all, Genesis of the Daleks sees the Time Lords attempting to kill the Daleks in the cradle, while Resurrection of the Daleks sees Davros’ children return the favour by attempting to assassinate the High Council. The Seventh Doctor even makes sure to declare he’s acting in his capacity as Lord President before he blows up Skaro in Remembrance of the Daleks. All of these and more haver latterly being subject to attempts to pinpoint them as the start of the Time War. No, the truly astonishing thing is the way in which it all feels so very like the modern series’ vision of what a Time War is like. The Daleks fit so perfectly with their recent appearances, it’s difficult not to picture their bronze, rivetted travel machines as they carve their way through Gallifrey’s Capitol, exterminating everything in sight. They have a relentless, unstoppability rarely seen on TV in the 20th century but very familiar to viewers in the 21st. A scene where they destroy the lights because, after all, they can see in infrared and their prey can’t could have come straight from Dalek or The Parting of the Ways, five years after this was released. The counterpoint to this, though, is that the Time Lords are a far cry from the battle hardy cynics whose very name terrifies or enrages those caught up in the War unwillingly, but are much more like their predecessors as seen in the likes of Arc of Infinity – people who talk a good talk about their own power but go hopelessly to pieces when the pressure’s on. In fact, this may be the least flattering depictions of the Time Lords yet as here even their paranoia, distrust and disdain towards the rest of the universe goes to the wall and they actually let the Daleks in by accident, during a hair brained impulse to steal another species’ time machine and see if it’s better than theirs. Though even this depiction winds up feeding into the modern revival of Doctor Who via a conclusion that sees the Time Lords swear to toughen themselves up and prepare for the inevitable rematch. The Daleks’ over-arching scheme, like all the best Dalek schemes, is utterly bonkers. They’ve found a way to destroy the entire universe (thanks to the ‘Apocalypse Element’ of the title) and are now approaching the problem of weaponizing it from an unusual angle – finding a way to use this technological terror without wiping out themselves too.Near the end, there's a little "We totally meant to do that!" explanation for why the Daleks would pursue such an obvioyusly flawed plan, but it's about as convincing as a small child expounding on exactly how that crayon got up its nose, and how it was actually all a completely reasonable idea. It’s possibly this type of melodrama which allows The Apocalypse Element to succeed where many other attempts to create a grim and gritty tale in the style of 1980s Eric Saward stories have failed. It never tips into true nastiness, even in the scenes revealing Romana has been a Dalek slave for twenty years, slowly being worked to death, and doesn’t revel in any kind of nihilism. While it pulls in just enough of the silliness present in all the best Doctor Who as an antidote to masses of death and destruction without letting it collapse into farce. 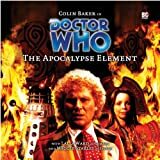 Now that Big Finish are increasingly playing in the sandpit of TV’s Last Great Time War, with the sadly ended War Doctor range being followed up by ranges featuring the Sir Derek Jacobi's Master, the Eighth Doctor and Romana herself, The Apocalypse Element seems more relevant than ever and a must for those wanting to see where it all began. Apparently, there was some weird legal issues surrounding The Crimson Hand, the third and final volume of Tenth Doctor comic strips, some kind of publishing legal nonsense about whether or not the graphic novels were technically books or not (I would guess it was all something to do with licenses and who had what), at any rate they finally managed to sort it all out, and so with new branding and cover designs, Panini resumed their plans to release all their strips in collected formats, and they began with this book, which is quite probably the best collection to feature the Tenth Doctor. The book starts off with a strip that originally ran between the exit of Martha and the entrance of Donna in the pages of Doctor Who Magazine. The main antagonist of that story, would later return as the Tenth Doctor's companion for his final year or so as the lead of the strip, which coincided with the 2009 "Gap Year" in which the Doctor was seen only a handful of times on TV leading up to his regeneration, and was without a companion for that period. So there was a bit of freedom as to what the Doctor could get up to in the pages of the magazine again, so writer Dan McDaid decided to really go for it with a big arc and a new original companion. Magenta Pryce is a well-written character, starting off as a bit of a villain, then reunited with the Doctor in prison with her memories wiped. The Doctor discovers the nefarious going-ons at her prison, and once that is thwarted, she basically "hires" the Doctor to help recover her memories. Of course her hiring just makes her essentially a companion, as the Doctor carries on having adventures with Majenta in tow, but something dark from her past is following her, and eventually leads to the big finale,"The Crimson Hand," in which we discover that Majenta was at one point a member of the criminal organization which lends it's name to the story's (and book's) title. It's a fine arc, wonderfully weaved throughout the various strips to lead to the big epic finale. Other highlights include the return of the Skith (first seen in "The First" which was featured in the previous Tenth Doctor collection) in the story "The Age of Ice," which also features UNIT, as well as a return to Stockbridge with special guest Max Edison, an adventure with ghosts in a train tunnel, and "Mortal Beloved" which explores some of Majenta's past with a former romantic partner of hers, as well as "The Deep Hereafter" which is a detective story drawn in the style of an old 1940s comics. It is probably the strongest entry in the Tenth Doctor's comic tenure, Dan McDaid did a great job writing the final year or so of the Tenth Doctor's tenure with this arc (the entire book was written by him, with the exception of a one-off from a storybook which was penned by Jonathan Morris), which in some ways did a more complete job of what Scott Gray had maybe hoped to do with the Eighth Doctor and Destrii before the new series cut all plans short. Obviously it isn't the same story or character, but with Majenta Pryce they were able to take an alien villain, and bring her back into the strip as a companion and develop that character from there. This book also collects together the strip regained it's full identity again...once again they felt confident to pursue arcs and new characters and do something a bit more than just random (albeit good) adventures with our TV heroes. This is a fine book, which sees the Tenth Doctor's tenure in the strip out nicely. I'm glad that whatever was holding up the release legally got resolved, and Panini was able to release this and continue their releases of other graphic novels, and here is hoping that once they complete all of their classic releases they continue on with their other rights and release classic TV Comic and TV Action strips as well...if they do as good a job as they have done with their own classic strips, it will be well worth it! In the Tenth Doctor's Second Volume of collected comic strips from Panini and Doctor Who Magazine, the folks behind the scenes continue their trend of regaining their confidence in what the strip should be in the era of the new series. For the bulk of this collection, the Doctor is joined by Martha Jones, companion of the third series of the television show, though the last three stories in the book feature Donna Noble. This volume comprises the entire Doctor Who Magazine (and a few one-offs from Storybooks) runs for both of the TV companions. While Martha lasted in the strip for about a full year of monthly installments, Donna had a far briefer run, debuting in the strip right after her TV debut as a full-time companion, and only lasting about an issue or so following her dramatic exit in the fourth series finale, Journey's End. The bulk of this book is actually quite good. I enjoyed the weird opening epic, with its giant robots controlled by children being used by bankers to reclaim an entire planet...that's the kind of off the wall stuff that only Who can pull off and make it work. "The First" is another solid epic, as is the titular "The Widow's Curse" which not only introduces Donna but acts as a sequel to Tennant's first story, The Christmas Invasion. There also solid shorter stories like "Sun Screen," the quite funny "Death to the Doctor" and the lovely and poignant "The Time of My Life." While it is only a one-off, "The Time of My Life" is probably my favorite story of the collection, short, but funny, and beautiful, and dramatic, and just a sweet goodbye to Donna. It shows the Doctor and Donna running through a series of adventures, each page another place they traveled to or monster they are running from or something else...and the dialogue cleverly bounces from one adventure to the next, all leading up to the final page, with the Doctor alone in the TARDIS, viewing a message Donna left for him in case any of these adventures with him ever went awry, and it is a beautiful little extra touch, particularly following on from her exit from the series, which had been so sad and painful for the Doctor. While the strip was still working without arcs, as it had since the new series began, at least it's more episodic nature is focused on good adventures, with great art and solid characterizations, and some tight plotting. This volume is another winner, with Panini really showcasing just how good they are at collecting together there strips into handy volumes. From the looks of the first volume of Tenth Doctor strips, it seems some lessons may have been learned from the Ninth Doctor run. From the moment the Tenth Doctor walks out of the TARDIS he seems far more fully formed (which is incredible as the only episode to air before he debuted in the comic was the 2005 Christmas Special). No longer feeling the shackles of the TV show as a hindrance, the strip almost immediately feels like just more adventures from the new show. They had a year of trying to figure out the tone and voice of the New Series, and just where exactly the strip fits into all of it. They spent well over a decade doing their own thing, quite successfully during the Eighth Doctor’s run I might add, that trying to fit in with the real show must have been quite the shock. It helped that they began to publish the more child-friendly "Doctor Who Adventures" comic separately, and that let them realize who the target audience for the main strip was, and had kind of always been. So the somewhat less mature and scattered tones of the Ninth Doctor strips was done away with, and they veered back into the tone and style they had during the Eighth Doctor days, at least closer to it. The Tenth Doctor's voice is fully captured, and the tone of his first year is there as well. But despite some bits that don’t work or gel for me, I found this Volume to be decidedly solid. The Tenth Doctor fees fully fleshed out from his first panel, and they capture the tone of the new show, and managing to recapture some of their own mojo that had been lost when the Ninth Doctor came in and threw them off their game. 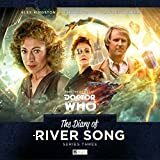 The opening story featuring the Sontarans before their reintroduction on the new series is a cracker...with fantastic art, great characters, and even better atmosphere. Both "F.A.Q." and "The Futurists" feel like the strip working back to some of it's former epics...but there are smaller fun stories as well, including Gareth Roberts' blueprint for the later Eleventh Doctor televised story The Lodger which features the same name and similar premise, but the Craig Owens role is instead played by Mickey Smith. There's even a Brigadier story to close out the book, though it is kind of mediocre. But it does fill the gap between the departure of Rose and the entrance of Martha. While they still aren't really practicing in major arcs and epics again, the first Tenth Doctor volume brings back the confidence and spirit of the Doctor Who Magazine strip, which makes it a far more enjoyable read than the Ninth Doctor's run had been. This book is a solid collection the first year or so of the Tenth Doctor's time in the strip, from his introduction to just before Martha joined up. It's a fun read, with a good collection of stories within...it may be a tad hit or miss, but overall this is a definite uptick in quality from the short era of the Ninth Doctor in the pages of the magazine.